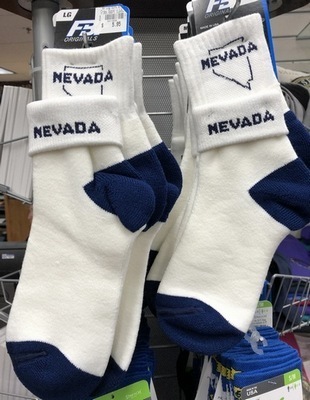 I think we should start a new tradition of giving each other gifts on Nevada Day — something made in the state, or at least Nevada-related. I realize we have several months before Nevada Day rolls around again, but I want to give you a heads-up so you can be thinking about it. This comes up because, of course, the Legislature is still in town. As you know, most of them are from Las Vegas and were welcomed on their first day of work in Carson City by a snowstorm. It then proceeded to snow roughly every other hour for the rest of February. Peeved that Northern Nevada was getting all the snow, the southern legislators ordered a snowstorm for Las Vegas later in the month. It arrived on Feb. 20 and created quite a stir, being covered by national media and generating thousands of mentions on Facebook, Twitter and other places where people write about themselves. The rest of the state, however, was unimpressed. “We call that a dusting,” they said. The next day, a snowflake fell in Los Angeles and billions of people on Facebook immediately forgot about snow in Las Vegas. Anyway, while there are several places in Carson City to find made-in-Nevada gifts, the best is one you might not consider — or even realize exists. It’s the shop inside the Legislative Building. In a fine example of Nevada governmental efficiency, the shop is staffed by state workers who aren’t exactly shopkeepers. Their office is inside the gift shop, and they’re helpful and knowledgeable, but if nobody is in there shopping, they have other duties to accomplish. 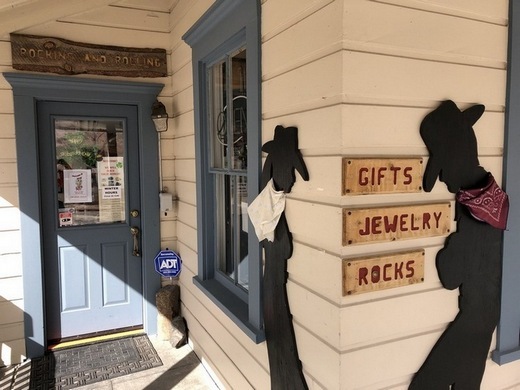 The small shop is stuffed with Nevada jewelry, Nevada mugs, Nevada artwork, Nevada clothes, and just about anything else that could be made in its shape or printed with the official seal. 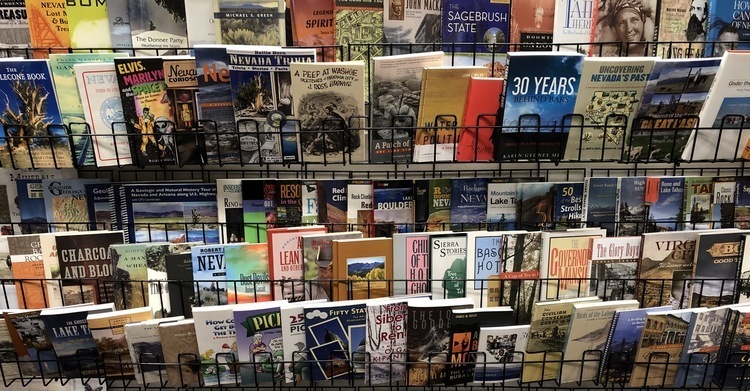 It probably has the best selection of Nevada books in town, too. The best part? No sales tax. It’s open 8 a.m. to 5 p.m. Monday through Friday, unless of course the staff has to be there because the Legislature is in session for some unfathomable reason on a Saturday. While you’re in the Legislative Building, take time to wander around and check out the Nevada Arts Council’s “Home Means Nevada” photography exhibit. Among the artists on display are Olin Feuerbacher of Pahrump; Peter Goin of Reno; Kelly Carroll of Hagatna, Guam; Mike Hill of Las Vegas; Julian Kilker, also from Las Vegas; Kurt Kuznicki, from Reno; Bruce Loeffler of Las Vegas; Alan O’Neill, from Henderson; Robert Park, another Las Vegan; Will Roger Petersen of Gerlach; Kimberly Reinhart of Henderson; Deon Reynolds, from Eureka; Sharon K. Schafer of Henderson; Cristian Torres of Las Vegas; and Sam Davis, from Cedar City Utah. Then, as long as you’re downtown, check out a shop with a variety of Nevada stuff called Rocking and Rolling, 402 N. Curry St. It literally has pieces of Nevada — like Austin turquoise and other rocks and minerals from around the state. If owner Jeannette Champagne can’t tell you about a stone, then it’s probably not worth knowing. 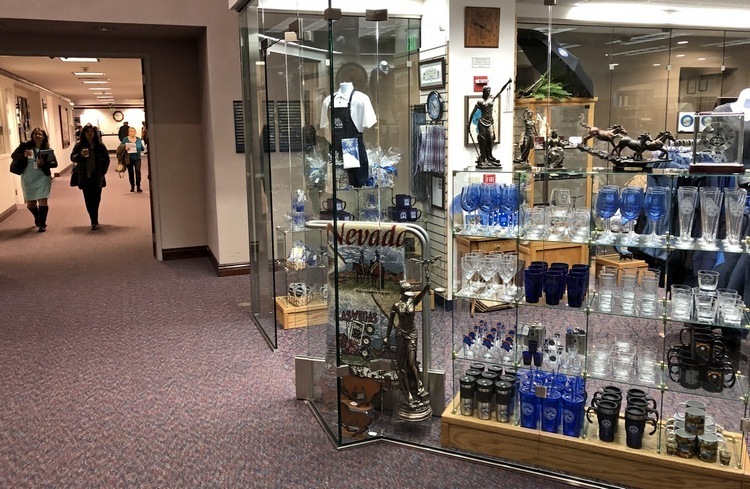 You can continue down the street to the Nevada State Museum’s gift shop, which isn’t quite up to the one in the Legislative Building but still worth checking out. And if what you’re really wanting is a Nevada T-shirt, then I’d suggest the Carson City Culture and Tourism Authority’s visitor center at 716 N. Carson St.
For the railroad fans, there’s the Nevada State Railroad Museum’s gift shop. It too is a trove of Nevada-centric gear. Heck, no need to wait. Get your Nevada Day shopping done early this year. I recommend it highly. You’ll be surprised what you don’t know about the building.